Enter to Win a B747-8 Model! 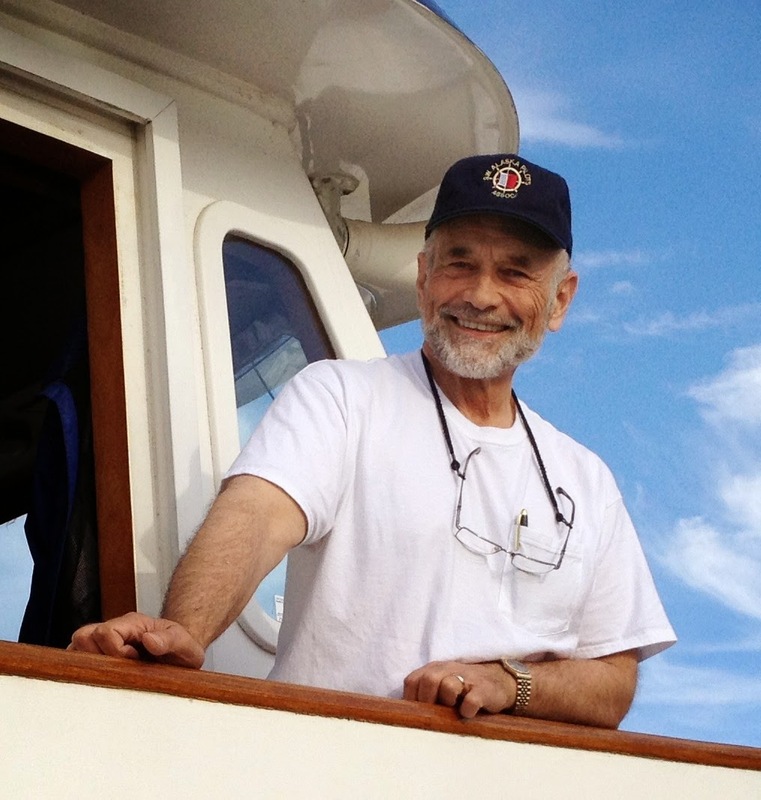 Today I am off to Atlanta to maintain currency... but for your reading pleasure, thoughts and discussion topics from Captain Jim. 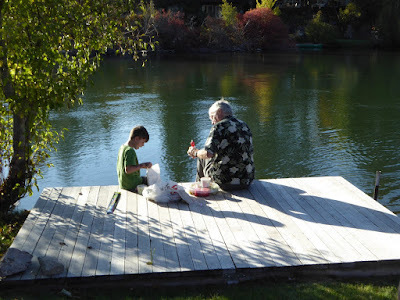 "This holiday I had the opportunity to discuss “automation dependency” with our son and son-in-law, both with considerable programming experience at Microsoft and HP. The bottom line of our discussions was that when faced with multiple complex problems requiring multiple complex solutions the ability of a computer to efficiently prioritize solutions in the proper order might be called into question. Offsetting these discussions was a Charlie Rose interview with a Silicon Valley icon who suggested that computers will soon be able to write their own problem solving code thereby creating their own “work-around” for an AF-447 situation and eliminate the need for hand-flying. The net result described by Stephen Hawking might be that “our rush to understand and improve life through science and technology could actually hasten our own demise”. Giving this further thought, you could say that hand-flying and ship-handling skills rely on empirical evidence while automation depends on analytical input to create programmed orders. You could also say that hand-flying/ship-handling skills are wasting assets (due to attrition) while automation technology is increasing. This begs the question of how best to salvage value from a wasting asset? American Airlines, Capt. Warren Van Der Burgh, suggests in his lecture “Children of the Magenta” that most pilots “have no idea what algorithms are programmed into an FMC – not even close”. If this situation remains, then it would seem logical to assimilate a greater degree of hand-flying skills into automation programming. 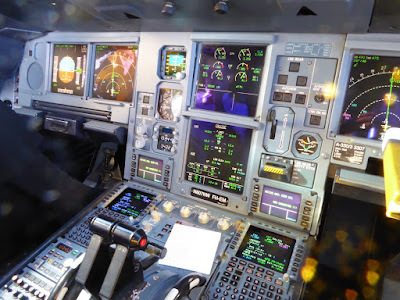 As “real-life” hand-flying and ship-handling opportunities decrease it seems important for simulator programming to include a greater amount of input from actual experienced pilots rather than relying primarily on non-flying computer programmers. We have tried this approach at PMI with successful although quite time consuming results. The problem then becomes finding enough experienced ship-handlers to work with computer programmers and also to facilitate and debrief the exercises. Maybe this would not be as much of a problem in aviation." 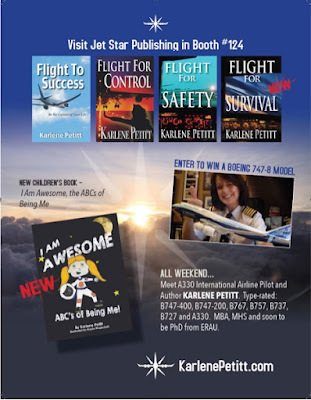 Imagine being an author working on your PhD at the same time you are an airline pilot. What if all those worlds merged into one exciting adventure, where truth was scarier than fiction and the lines between your worlds blurred? You would write the novel Flight For Survival. NextGen is on the horizon with multiple threats looming. Aircraft complexity, fatigue, and training issues leave pilots open to error. Unmanned aircraft systems—drones—are flooding the airspace, creating a regulatory nightmare. Safety Management Systems are mandated to be in place by 2018, but creating a safety culture is an essential ground floor requirement. FAA inspector Kathryn Jacobs is in charge of drone regulation, Jackie Jameson is managing flight attendant training, and Darby Bradshaw is flying an A330 for Global Air Lines while fighting for safer skies. Darby has just been offered a two million dollar publishing deal for her safety management book: Fight For Safety, Inside the Iron Bubble. Unfortunately, there are those who would do anything to stop the book’s release. The darkest realm of Global Airlines’ secret sub-culture surfaces between the pages amidst fear that the truth about what happens inside the iron bubble will come to light. When a Boeing 777 disappears, and a pilot intentionally flies into a mountain, suspicion points to Captain Bill Jacobs, hidden inside prison walls. But the truth is never what it appears. The worst crash in airline history plunges these three friends into a fight for their very survival. News Flash: Global Air Lines wipes Coastal Airlines off the radar screen during a merger creating the largest airline in the world, and changes life for everyone. Captain Darby Bradshaw’s 4th stripe is ripped from both shoulders as she is forced back to first officer. 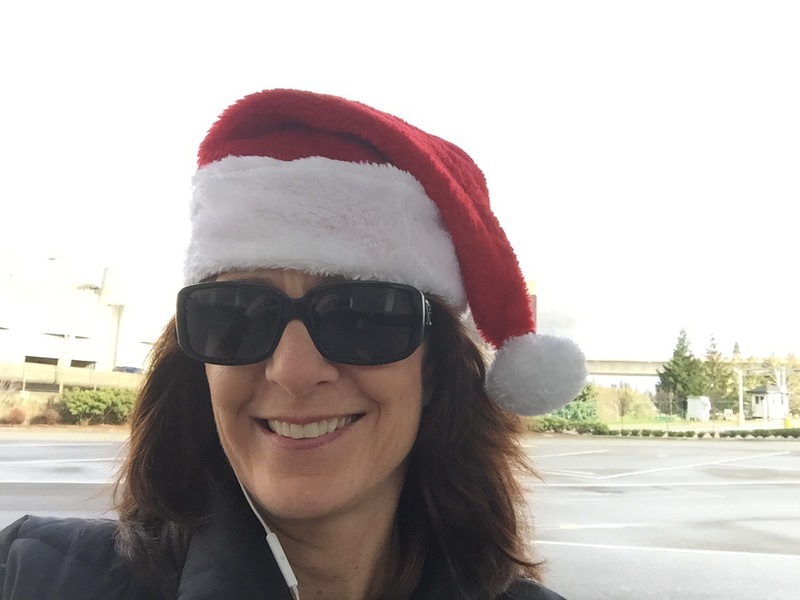 Her friend Jackie Jameson, once a flight attendant, becomes a training scheduler. Their best friend, Kathryn Jacobs, moves from the NTSB to the Federal Aviation Administration. Concerned with the downward trend in the aviation industry Kathryn beats her head against the bureaucratic walls in attempt to improve safety. When an Airbus A330 is found in it’s watery grave, a Boeing 777 lands short of a runway and Global Air Lines implements a ‘train yourself at home’ program, Darby Bradshaw realizes it's time to take action, but soon learns she has stepped into the heart of a far-reaching conspiracy. Darby’s pursuit of safety and her fight to impact change open a reality beyond her wildest dreams. 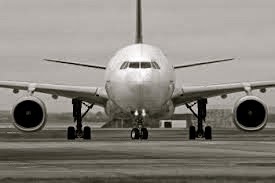 A reality filled with corruption and greed inside Global Air Lines, where each flight has turned into a game of Russian roulette. With the support of her friends, Darby risks her life as she takes on Global Air Lines and an industry in her fight for safety. Imagine writing a novel, Flight For Control, with the theme of mental health embedded within the world of aviation. And then two months after your novel is released a Jet Blue captain is locked out of the flight deck by his first officer, after he suffers from a mental breakdown. What if he hadn't been locked out? And then four years later a Germanwings first officer successfully locks the captain out of the fight deck and flies his plane into the mountains. The airline industry has been turned upside down. Pilots are financially and emotionally bankrupt, and have been pushed to the edge. They fight, to take back control. But when three airliners cash, and nobody knows why, it takes Kathryn Jacobs to return to the NTSB to investigate. But her husband, Captain Bill Jacobs, has his concerns. While her twin daughters are off at camp, and Bill is actively campaigning for the Pilot Union Presidency, Kathryn secretly begins her investigation. What she learns will shock the nation. Flight For Control is a thriller that reads like a mystery. But to Kathryn, there is no mystery on the condition of the airline industry—it’s broken. Planes are crashing. Pensions are lost. Pilots are financially and emotionally bankrupt due to fatigue, furloughs, and loss of seniority. It’s time that someone takes control before it’s too late—unless it already is. 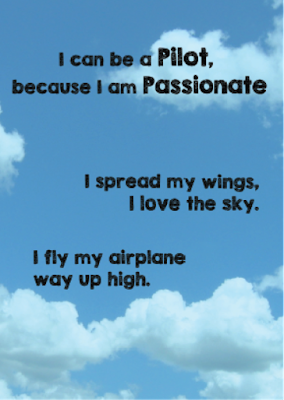 Your life is in your pilot’s hands. Do you know who’s flying your plane? Please be advised this book is for mature audiences only. Okay... you don't have to be mature, but you should be old enough to deal with some serious real-life issues. 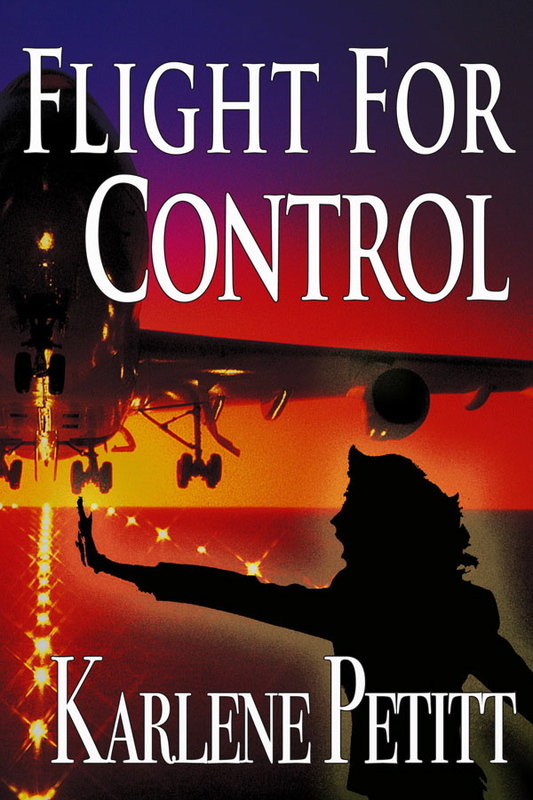 While fiction, Flight For Control harnesses the current airline environment, economy, and the stress your pilots face daily. Where is the union? What is the FAA doing? What is management's fiduciary responsibility? Flight For Control also contains strong sexual content. When on the big screen, it will be R-Rated. Be ready for the flight of your life, it may be your last. 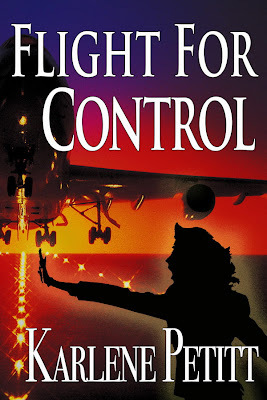 If you can handle the flight, then you will love the action and adventure of Flight For Control. I was consumed with work over the previous week. 20 hour days on the computer, followed by not enough sleep. This morning I awoke (after a ten-hour nap) and said, "It's a holiday!" I lost track of time. So back to the present as the gift that it is. Why all this work? I am living on faith that I am doing the right thing, for the right reasons. My One Wish is the dream. I finished the next iteration of edits, and then sent my book off to my final, professional, line editor. Why was it so important to get this book out? Timing of Taking a Position! For anyone who has read Flight For Control, and Flight For Safety, can see the parallels of truth that unfold after my books were written. 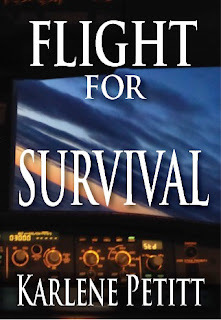 Flight For Survival is no different. My education and research has rolled into this third novel, which is mirroring my life and pursuit of what is necessary, right and in our industry for everyone concerned.... if you fly, or ride as a passenger, my life is for you! and do the right thing! Join me in the move Forward! 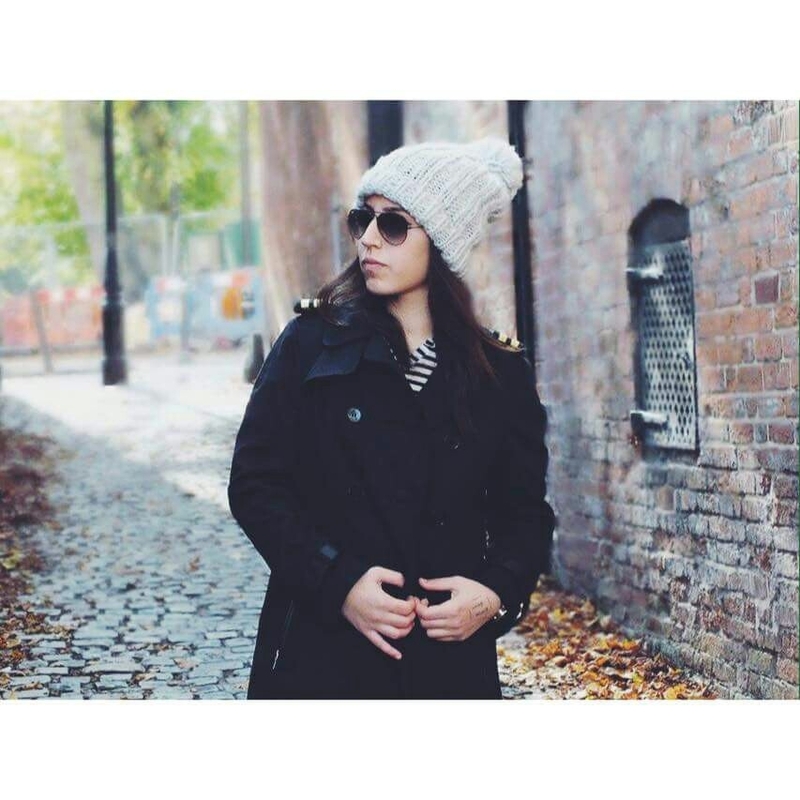 "An independent view of how I see and perceive myself is all that I need to become whoever and whatever I want to be." 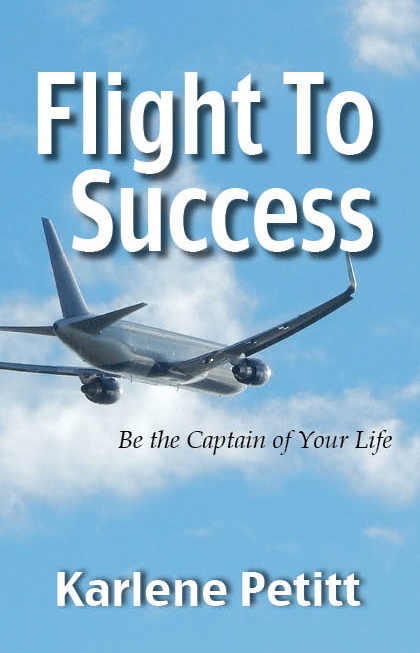 Chapter 3, in Flight To Success Be the Captain of your Life is all about that big "I" in identity. It's about knowing yourself in order to achieve your dreams and reach your ultimate success. How do we become the best part of ourselves, in order to live authentic lives? I Am Awesome, The ABCs of Being Me! I Am Awesome... The ABCs of Being Me! and on this blog too! Children's Museum of Central Oregon! "A on-profit focused on providing an enriching experience in the arts and sciences for the Central Oregon community. Our mission is to serve as a place for children to create, explore and investigate their world through immersive hands on experiences, and as a resource for families of all types to grow and learn together." Tim is an upstate New Yorker who now lives in eastern Pennsylvania where he researches and writes. He is a veteran of newspapers, radio, and television news reporting and anchoring, and he spent 21 years as a news anchor for the CBS and NBC-owned television station, WCAU-TV, in Philadelphia. So don't shoot me, but most of this is taken from his bio. But what an amazing man!! 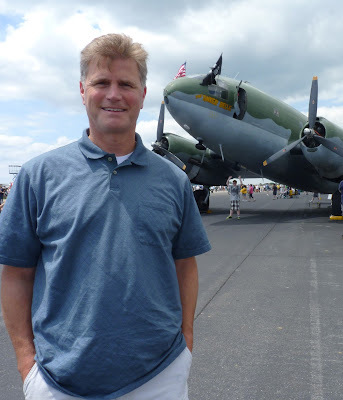 As a Journalist in New York State, South Carolina, Texas, Pennsylvania, New Jersey, and Delaware, Tim has covered and/or reported, and anchored news broadcasts on most every major news story of the past few decades including Iraq War politics in Washington, the 9/11 terrorist attacks, and Hurricane Sandy. This man is one of the most prolific writers I know. 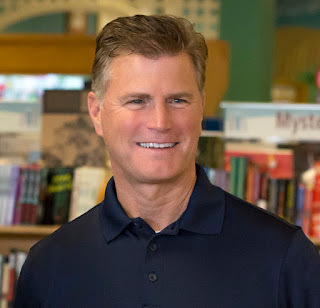 He has written for the Jamestown Post-Journal, The Buffalo News, Pittsburgh Post-Gazette, Thousand Islands Life, and worked for CBS and NBC-affiliated television stations in Charleston, Houston, and Philadelphia. Tim was even once arrested and jailed for broadcasting a news report, but the charges were later dropped and his record expunged. However, I'm putting him back on record to say that he does not allow fear to stop his writing. He was also inducted into the Philadelphia Broadcast Pioneers Hall of Fame in 2011. Tim came from a family of 13 whose ancestors first settled in Philadelphia in 1733, and Rhode Island and Massachusetts in the late 1600's. He and his wife Jaime, have three children, and split their time between Chester County, Pennsylvania, the eastern shore of Lake Ontario, and the Adirondack Mountains. The history of General Electric's summer corporate island camp, in Lake Ontario, which includes stories of some famous Americans who attended. A non-fiction account of GE's early corporate playground in the lake, along with tales of bootlegging, early Coast Guard activities, wooden boats, and architecture of summer cottages in a small fishing community. The book also chronicles the secret vacation lives of three U.S. Secretaries of State. 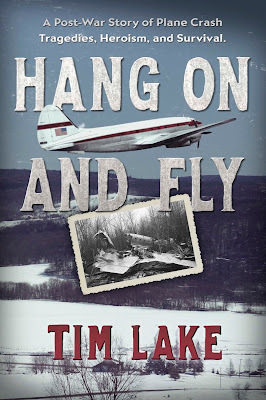 Hang on and Fly: An original narrative non-fiction story of the deadly and forgotten era of the first budget airlines in North America. "The crackly radio messages bounced around the hills and valleys of the Alleghenies and set the stage for absolute pandemonium along Sawmill Run. Sheriff's Deputy Russell E. Benson intercepted the call in his squad car and ... "
Tim... Best of Luck to this, and all your endeavors! Yesterday I spent 20 non-stop hours at my computer working. 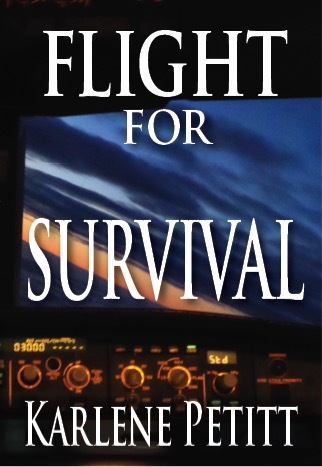 16 hours editing and formatting the next novel, Flight For Survival. Yes... just because it's done, does not mean the work is over. But I'm getting close. And then working on my Safety Management Systems class, and Statistics. The interesting thing, is that the novel you're about to read has an SMS theme to it. Just when I submersed in writing and research, what ends up on my desk? The Office of Inspector General Audit Report. Reporting challenges with pilots flying. Years of studies with a common thread... "Pilots could benefit from additional time manually flying aircraft." A 2014 NASA study also found "Pilots sometimes struggled to maintain cognitive skills that accompany manual flying such as awareness of the aircraft's position and recognizing instrument systems failures." Take a guess what the focus of my dissertation is! You've got it! I've been working on this challenge since Flight For Safety released 2 years ago. Hopefully this report will assist in furthering my work. is a learning moment waiting for you to embrace it." 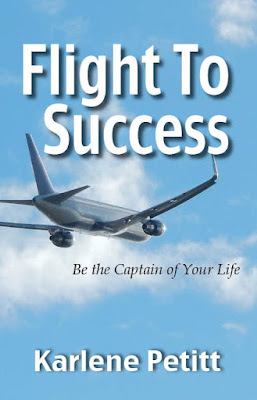 FLight to Success Be the Captain of Your life. Chapter 2 is about Listening and Learning. The old saying, "Whatever doesn't kill you makes you stronger," holds so much truth. (and one of my favorite songs!) But only if we learn from those lessons. If I could give you a gift today, it would be to have an open mind that enables you to listen to what others are telling you. It does not mean that you have to believe them, but if you doubt something, that should prompt you to search for more answers that will lead to learning. Some of those lessons will come from experience (good and bad), some from books, a classroom, from teachers, employers, coworkers, parents, children, and even from our students. As you will learn in Flight To Success, teachers come in many forms, but learning is 100% your responsibility and will only happen if you are willing to listen. and the true teacher is the learner." Eleni said that physics was her first love, as she was attracted to the subject in high school. What a great love she chose. Why physics? She loved to learn how it was possible for an airplane to fly, with the various forces acting upon it. "Day by day many questions started to arise to my mind full of thoughts. I started of thinking how amazing it is to fly and that human being managed to create the miracle and the beauty of the sky called airplane." Her love soon shifted to flying. 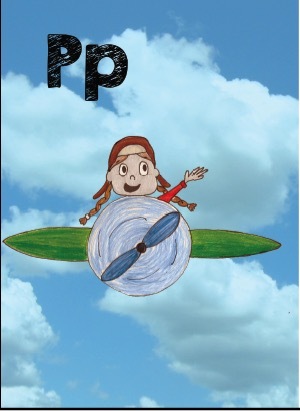 She was fascinated how aviation brought together cultures, and she wanted to explore this world of aviation, so she began finding books and searching for any information she could use to learn as much as possible. Once she learned the essence of what this aviation world was about, it was time for her to experience fight. 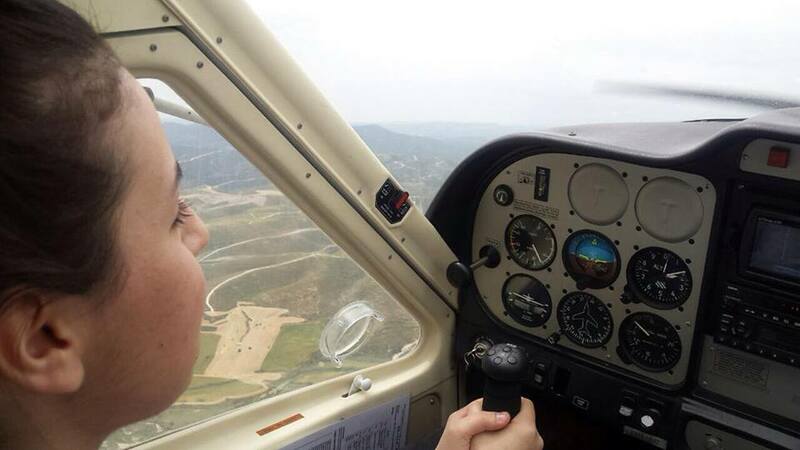 "I really needed to make sure that I love the sky and I want to become a pilot." I ever had in my life." 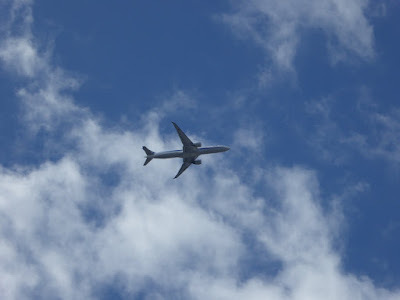 She later went to Larnica, (LCA) Cyprus, and took photos of aircraft. All the while she was wondering how she could start her career. "After much thinking, I decided on the study of Aviation Management because it is highly interactive and it’s also a good qualification for a future pilot to have. So I decided to start my degree." 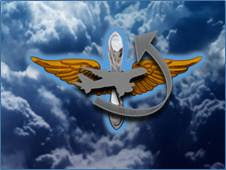 "Absolute Aviation creates a world for the aviator lovers and includes videos from flights and aircraft. My goal for the moment to this channel is to make people aware of the beauty of aviation and for the aviator lovers to enjoy it." Eleni's first flight was a year ago during Easter. 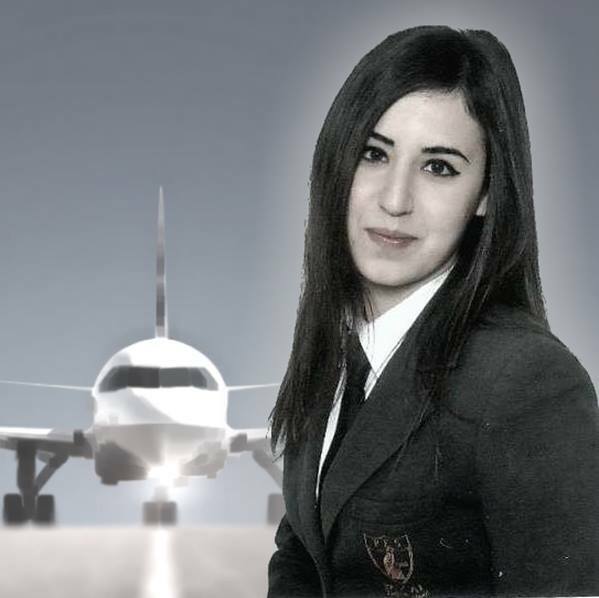 She is currently working on her private pilots license theory course, through her university. She practices her flying simulators at the university. She is trying to find a way to become a pilot with the lowest cost possible, as her parents cannot support her on this endeavor. But, she will not give up and do whatever it takes to make her dreams come true! She will continue to soar to New Heights! Professional flying can be a stressful business. The hours, the complexities, the responsibility...it can all add up to a rather anxiety-making cocktail. This is more serious than it may seem. Work-related stress is a major issue in any business, but for pilots and air crews in particular, stress can be dangerous. Chronic stress is not only deeply unpleasant in its own right, but it can contribute to a number of health conditions, including depression, immune problems, and even obesity. Not only this, but it can be very distracting to people trying to work in an environment in which distractions are not particularly welcome. It is therefore very important to keep your stress levels as low as possible, and to take care of your mental health. Here are some tips which may help you to do this. Life is stressful. Sometimes it throws things our way which we cannot have predicted, and this frequently results in a lot of stress. Unfortunately, we cannot predict everything and therefore cannot prevent this kind of unexpected stress from occurring. However, we can try to make sure that those areas of our lives over which we do have control are running as smoothly as possible, and that we have certain contingencies in place in case of emergencies. Things like getting money in order, for example, can give you a certain amount of peace of mind - something which many people find very valuable when they're trying to get to sleep! Similarly, simple things like making sure that all your bills are paid on time, your affairs are in order, your home is in a good state of repair, and you're generally on top of most things in your life will ensure that stresses do not pile up until they become unbearable. It may sound simplistic, but the removal of little, daily stressors will in fact do wonders for your overall mental resilience! It may be that you lead a naturally stressful life, and it may be that there's little you can do to remove the practical causes of this stress. However, you can increase your own ability to deal with that stress. Our brains are actually quite efficient at processing and minimizing psychological angst - but they need to be given a chance in which to do so. These days, we don't tend to stop, relax, and give our brains the time and space they need to begin sorting through our stressors and dealing with the psychological and physical fallout. Instead, we carry on conducting our lives at full-throttle, shunt stress to the back of our minds, and consequently spend any 'relaxation' time worrying away at our problems - seeking solutions rather than letting the strain seep away. Giving your brain some 'downtime' - i.e. going for a walk, meditating, simply relaxing and switching off for a bit - will allow your brain's natural stress-relief systems to come into play. You'll notice the difference after only a few hours. We live in a world in which overtime is lauded, and those who refuse their time off are considered to have an excellent work ethic. Do not buy into this. Humans are not designed to spend their entire lives working. Your performance, your mental health, and even your relationships may suffer if you do not take the time off to which you are entitled. Nobody will think the worse of you if you take the vacations allotted to you - particularly as those who do take regular breaks from work tend on the whole to be better at what they do than those who do not. Breaks give you something to look forward to, which can help during the most stressful times, and they give your body and mind a chance to cool off, deal with stress, replenish, and fortify themselves against the next onslaught. So don't buy into the idea that you must eschew all free time and work until you are exhausted - do what's best for yourself and those around you, and go on a stress-busting vacation. Remember, you'll be a lot better at your job if you do so! Mental health is essential for pilots. A mentally healthy, properly trained, pilot can handle most anything. While many people view mental health as the extreme case of the German Wings pilot, and the characters I wrote about in my novel Flight For Control, the truth is that much of what we face in life can cause stress. Family. Finances. Work. Health. Fatigue. A little stress can be good and is actually motivating. But too much stress can break anyone. The question is, where is that breaking point for you? The problem is that long term stress can also impact your health. I can personally attest to that. So make sure you take care of yourself. To be Good to Yourself. Put Your Oxygen Mask on First! Chapter 1: Fear is about how do identify and deal with Fear. One of my greatest fears is guns. Not logically, but physically. 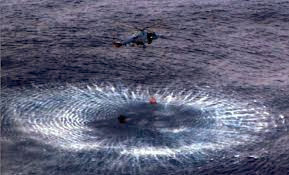 Not until I attended FFDO (Federal Flight Deck Officer) school, did I know I had this fear. 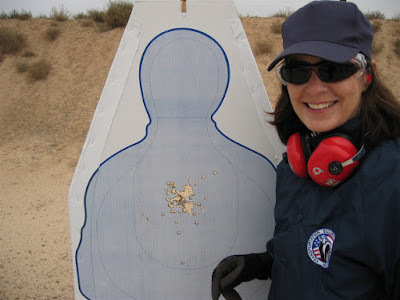 I never had an experience with a gun, good or bad. The moment the empty gun was placed in front of me, I shook. My body had a physical reaction. I had to convince myself that I was fine, as I learned how to clean and load it. Then the moment I held that loaded gun, I began shaking again. I could not shoot. I had to breathe deep. Relax. Calm myself. Mental chants that everything would be fine. That the gun was pointed away. And then I fired. And fired. And fired again. I had no problem with the shooting part. But why the fear? I have often asked myself where fear comes from. But my solution is always how to deal with it, when it arrives. I have faced fear many times in my life. From the first time I flew a 727, to the first time on CNN, to every job interview. What made me push forward without running in fear? What enables focus despite fear? Fear is the first chapter in Flight To Success, Be the Captain of Your Life. A chapter that everyone must read, as we face our fears in 2016. Life is short, make sure you get in the game. Fear is a natural emotion, not one to incapacitate.